The 'Great Smog of London' or 'The Big Smoke' in December 1952 was the most severe air pollution crisis in European history, causing around 8,000-12,000 deaths. The London Smog was preceded by the life-threatening 1948 Donora Smog in the US. Smog clouds, consisting metal dust, sulfur dioxide and carbon monoxide, developed on October 26, 1948. As a result, around 7,000 residents suffered from various breathing problems and were hospitalised. At least 20 residents died within 5-6 days. Similarly, Beijing suffered major air pollution in 2013 due to burning of coal, which caused 366,000 premature deaths. These environmental disasters did not happen in a day. There were many alarming signs, like the ones we are witnessing in Delhi nowadays. For cities located in river basins and surrounded by mountains, smog is a persistent problem because trapped smog in the valley cannot be carried by the wind. Primary pollutants are the ones that contribute to smog formation and are emitted directly from the source. Secondary pollutants form in the atmosphere by chemical interactions of primary pollutants with normal environmental conditions. The key pollutants that lead to air pollution are oxides of nitrogen, especially nitrogen oxides and nitric oxides, which are released in the atmosphere by combustion of fossil fuel coming from coal power plants, factory emissions and car exhausts. Nitrogen dioxide is a serious air pollutant, which, on inhalation, causes pulmonary edema (an accumulation of excessive fluid in the lungs). Moreover, it contributes to photochemical smog, thus, causing serious damage to the environment. Some less visible pollutants include halogen, containing compounds like chlorofluorocarbons (CFCs). These are artificial gases, non-biodegradable and since they are also not soluble in water, they can’t be washed away by rainfall. Sulfurous smog and photochemical smog are two distinct types of smog recognised so far. Sulfurous smog, also known as London smog, develops due to high concentration of sulfur oxides in the air. This gas is a serious air pollutant, causing irritation to human eyes, nose and lungs. It is released into the air by sulfur-bearing fossil fuels like coal. Volcanoes also emit sulfur dioxide in the atmosphere. It is estimated that the emission of sulfur dioxide by natural sources is 24 per cent, whereas anthropogenic sources contribute the rest 76 per cent. Photochemical smog is produced when sunlight reacts with oxides of nitrogen and at least one volatile organic compound (VOC) in the atmosphere. The chemical formation of air-borne particles and ground-level ozone takes place in the sunlight. Paints, gasoline and many cleaning solvents release VOCs into the atmosphere. The aromatic compounds like benzene, toluene and xylene are carcinogenic and may cause leukemia. It is found that VOCs may indirectly contribute to respiratory and other ozone-related problems. It is well known that ozone layer protects us from harmful UV rays. However, the ozone close to the ground is harmful, especially for those suffering from respiratory diseases like asthma. It can damage lung tissues, lead to itchy and burning eyes, interfere with photosynthesis and cause suppression in plant growth. To address adverse effects of fatal smog on human health, we referred to real time air quality data collected by the Central Pollution Control Board (Nov 5-15, 2017). The objective was to analyse the effect of the most troublesome factors associated with smog—particulate matters (PM 2.5 and PM 10) SO2 and NO2. Fine particulate matter (PM 2.5) is a mixture of microscopic particles of ash, soot, dust, dirt and metals in air measuring less than 2.5 μm in size. These particles arise from vehicle and industrial emissions, road dust, tire wear, construction, wood-burning and agriculture. Fuel combustion and chemical reactions lead to the formation of PM 2.5, which can bypass the cilia and mucus layers—which trap particles in the nose and throat—and deposit directly into the alveoli (the minute sacs within the lungs), where gas exchange takes place. This causes incessant cough, asthma and may even lead to lung cancer. PM 2.5 level increased to 999 in Delhi on Nov 7, 2017, which was much above the recommended 60 micrograms. The levels were the highest between Nov 7 and 9, especially at ITO, as it experiences heavy vehicular traffic and is a transit point for intercity travel. PM 10 dust particles have greater aerodynamic diameter and mostly originate from road dust. When its presence in the atmosphere goes beyond 1,000 µg/m3, people suffer from coughing, wheezing and cardiovascular diseases. Just as in the case of PM 2.5, PM 10 was also found to have seasonal variations. Sulfur oxide is formed by combustion of sulfur-containing fuels in vehicles, gensets or thermal power plants, which use low-quality furnace oil. Sulfur oxide is converted to H2SO4 or sulfuric acid, when deposited in the nasal linings and leads to severe allergic reactions and may even cause cancer. NOx is generally formed from high temperature oxidation of diatomic atmospheric oxygen in combustion engines or furnaces. They destroy the ozone layer and cause lung damage, leading to diseases such as emphysema and asthma. Not only outdoor, but also indoor air quality is a great concern since people consider their homes a safe refuge and become carefree. Sources of indoor pollution are VOCs and soot from open air stoves or kerosene stoves; mold and spores from damp places, especially the washroom area, dead skin and insect particles as well as pollen from planted flowers or dust accumulated in blankets and mattresses. This problem is so common that it has been given a special name: Sick Building Syndrome. Architects are trying to mitigate it by better ventilation, materials and design. Exposure to such indoor air pollutants may cause allergy, asthma, cardiovascular disease, memory loss, cancer and can be harmful to fetal development. A silver lining, even in this extremely precarious situation, is that Delhi is not new to facing problem of worsening air quality. However, owing to its geography, demographics and industrial areas, Delhi has become experienced in ad-hoc and long-term mitigation strategies. Action to tackle a problem can be of two types, preventive and punitive. The Supreme Court has been at the vanguard of this fight. Back in 1985, it had directed all the hot mix plants, emitting noxious fumes, to be relocated out of Delhi. Catalytic converters were introduced in cars in 1995 to reduce toxicity in pollutants released by vehicle exhausts. Petroleum coke and furnace oil were banned in 1996 in Delhi, however, industrial units in NCR kept using them. By 2001, the entire fleet of Delhi Transport Corporation (DTC) began running on Compressed Natural Gas (CNG). At that time, it seemed like a very expensive undertaking. However, in hindsight, DTC has the world’s largest CNG fleet and has significantly contributed to lowering emissions in the city. The SC went a step further by banning registration of all diesel SUVs over 2000cc and mandating that all commercial taxis also be converted to CNG by 2015. It was not only the judiciary, which is trying to reduce the pressure of air pollution on the city, but the executives, too, are taking preventative actions. Delhi government had introduced emission control norms for the first time in 1991. Since then, the standards have got stricter in the form of pollution control certificates (PUC), which must be renewed every three months. Currently, only Bharat Stage-IV (BS-IV) compliant vehicles can be registered in Delhi with plans to introduce Bharat Stage-VI fuel by 2018. Delhi government phased out lead petrol, reduced the amount of benzene in fuel, and introduced low-sulfur diesel to provide vehicles with cleaner fuel. 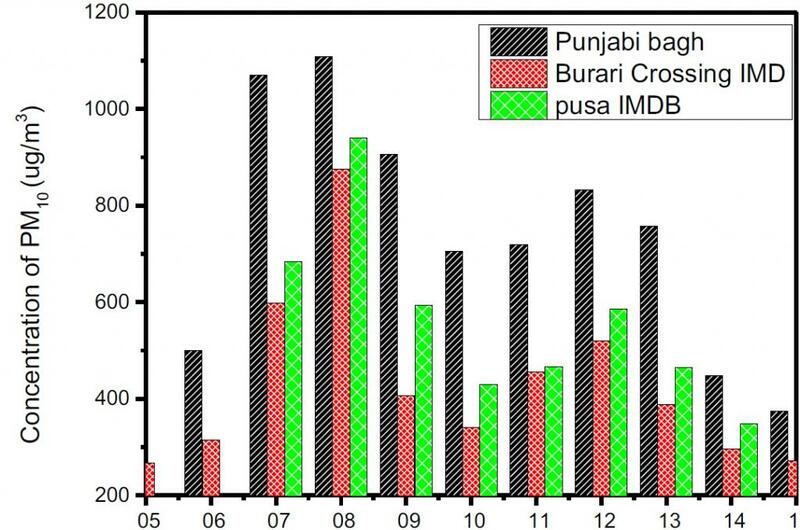 Mitigation measures also involved major infrastructure investments. The most prominent among them, which also tackles traffic congestion, is the creation of mass rapid transport schemes like Delhi Metro, which has taken lakhs of vehicles off the road. In fact, had phase three of the metro been constructed on time, instead of being delayed for 2018, it could have taken off 1.4 lakh vehicles from the road and would have made a dent in the current smog scenario. An air ambiance fund has been created to fund mitigation initiatives from money collected from diesel sales. Recently, despite pressures from certain sections of society, the court, executive and civil society came together to ban even bursting of crackers in Delhi on Diwali to help reduce the famous after Diwali smog. To spread awareness on the dangers of pollution and its mitigation methods, the Delhi Pollution Control Board conducts routine awareness programs and workshops. Punitive measures include those taken after or during the crisis. These measures have been met with varying degrees of success, which aren’t always quantifiable due to the diffuse and multi-source nature of the problem and too many variables at play. Perhaps the most positive action of the government was formation of the SAFAR air quality index, which combines five of the most pressing pollutants into a single air quality index (AQI). This ranges from good to severe and can help in policy formulation as well as precautionary measures. Policies range from long term and national policies like India’s commitment at the Paris Climate Change Summit and increasing non-fossil fuel sources in power generation to 40 per cent by 2030 to long-term and local ones like ridding Delhi of kerosene and shifting polluting industries to the periphery of the city. The short-term policies include implementing odd-even scheme, sprinkling water on trees and roads to prevent dust along with vacuuming the roads and banning gensets and construction activities. 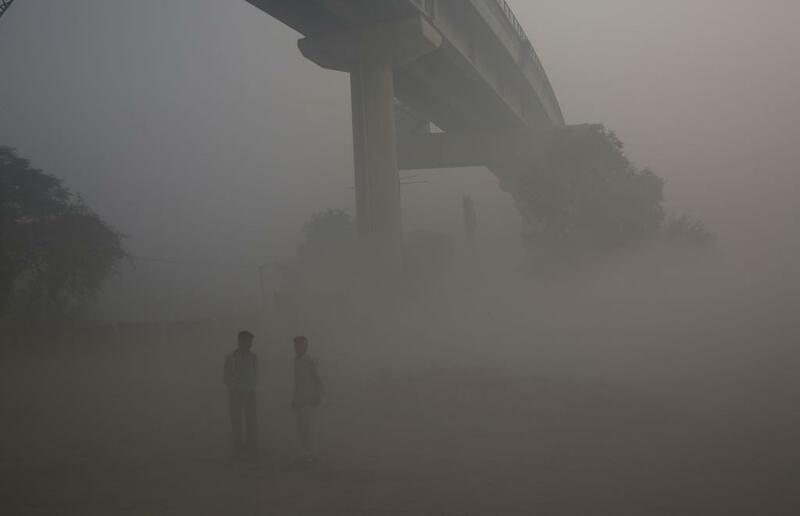 In case of severe smog, there’s also a crackdown on farmers practicing stubble burning. Immediate decisions such as school holidays for primary children have also been taken, soon after the rise of pollution levels. Awareness programmes regarding ways to reduce pollution by lifestyle changes and mitigation measures at a personal level, such as growing more indoor plants or wearing of proper masks are also run by the government and various NGOs for public benefit. In the 2018 Union budget, a special scheme was announced to subsidize farm equipments for Haryana, UP and Punjab to reduce problem of stubble burning. The odd-even scheme deserves special mention and analysis because it was a radical and innovative immediate remediation measure to the alarming smog situation in Delhi. The scheme called for restriction on certain class of non-commercial vehicles during peak hours based on their license plate numbers, whereby they were to ply alternatively. As per a study—which monitored eight locations in Delhi—NSIT, Dwarka, Mandir Marg, RK Puram, Shadipur, ITO, IHBAS and Punjabi Bagh for six pollutants, namely NOx, SOx, CO, ozone, PM2.5 and ammonia, there was an overall reduction in pollution level. But this decrease was nothing dramatic due to interference from other factors, mainly metrological. However, reduction in number of vehicles plying on the road, traffic, and travel time was widely appreciated. One more novel scheme tested by the government was an anti-smog gun, the prototype of which was tested by the Delhi government at Anand Vihar, one of the most polluted locations in the capital. The concept is that the gun will shoot a mist of high pressure water into the air, which will capture and immobilize pollutants and particles, making them settle on the ground later. Since the range of this method is low and it’s only effective in the immediate time frame, it can only be used near sensitive locations such as hospitals or schools. A special mention must be made about commercialization of smog and pollution and what one can do as an individual to mitigate the risks. As the health effects of outdoor and indoor air pollution are better understood now, commercial market records growing number of products for the improvement of indoor air quality. Air purifier is a device which removes contaminants from air and improves indoor air quality by employing several types of successive filters; pre filter, activated carbon, HEPA, photolytic, etc. Various kinds of air purifiers are available in market depending on the shape, volume, level of protection offered and price. Common air filters involve High Efficiency Particulate Air (HEPA) technology, activated carbon technology, ionizer, ozone generator etc. to tackle indoor pollution, whereby additional technology and protection comes at a cost, which is often unaffordable to the most vulnerable. In case of masks, a series of pollution masks like N-90, N-95 are available in the market depending on the efficiency to filter airborne particles from 95 per cent to 99 per cent respectively, costing anywhere from around Rs 150 to Rs 1,000. However, it is to be noted that prolonged study measuring the effectiveness and long-term utility of air purifiers and masks have not been done and the prospects of such improved personal devices by no means suggest "to continue and pollute more and more". It is evident that most of the measures taken against smog and pollution are punitive and ad hoc in nature and address the symptoms and not the root cause of the problem. In the case of indoor pollution, more analysis is needed to assess its long-term effects. To find a permanent and sustainable solution to air pollution and smog, there needs to be a synergy between all levels of policy formulation and implementation from the Delhi government, Centre, National Green Tribunal, judiciary, expert agencies and most importantly people. Also, opinions and considerations from all sections of the society, especially experts of agriculture, environment, chemistry, industry etc. would have to be taken. Comprehensive studies, evaluating the pros and cons of personal mitigation devices for a permanent solution to air pollution crisis of Delhi, need to be conducted with a holistic and interdisciplinary approach.